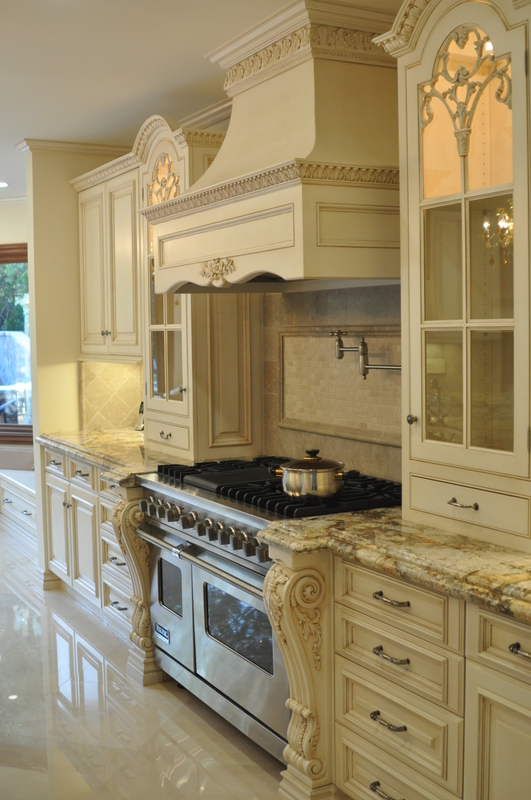 Here is an example of a French Kitchen that we built for a client. 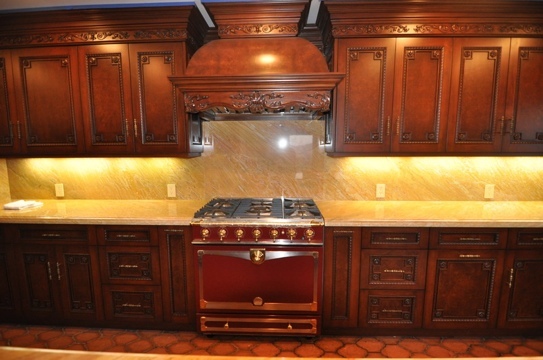 Cabinetry Manufacturer: Keystone Cabinetry Inc. Type of drawers: 3/4″ maple dovetail drawers with the full extension blum drawer slides, self closing. Finish: Hand painted and glazed “Creme de La Creme” finish. Flooring: 24×24 Crema Marfil Marble polish. Appliances: 48″ viking range, Miele dishwasher, Sub-zero Refrigerators, Frankee Sink, Hansgrove wall mounted pot filler, Travertine back splash. Hi I was wondering what kind of Finish is on this Kitchen? It is an antique hand glazed finish.